This new color addition is cloaked in stealth black, highlighted by a black IP stainless steel bezel and reverse LCD display. Standard features include five alarms, 1/100th second stopwatch, countdown timer and world time as well as a full auto EL backlight, tough solar power system and multi-band 6 atomic timekeeping. 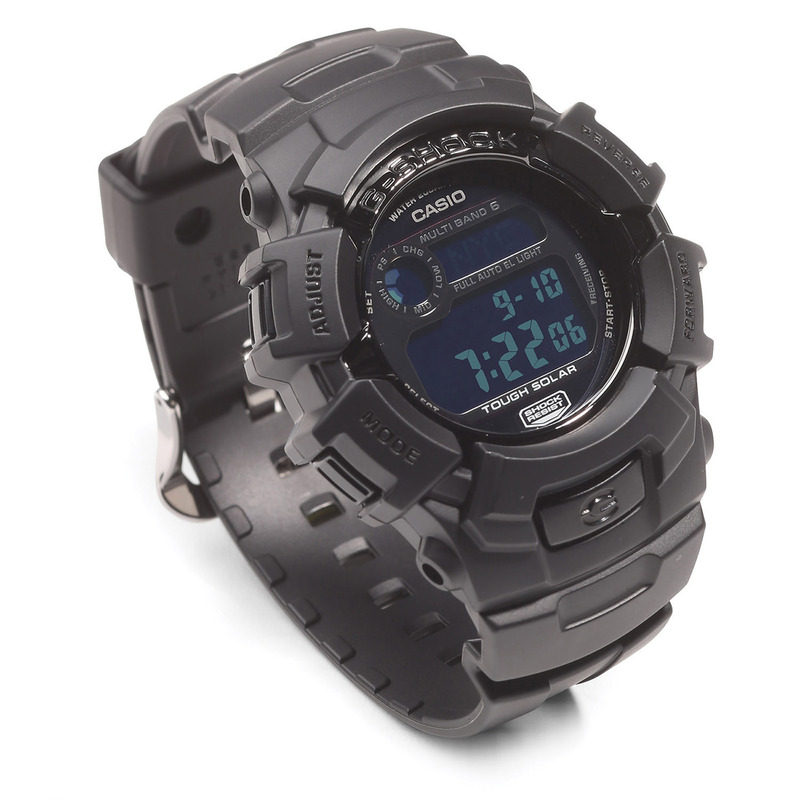 Black resin band digital watch with black face.